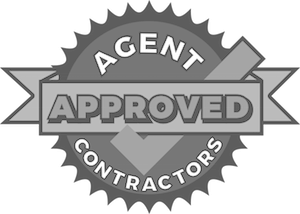 Agent Approved Contractors.Com provides a list of Contractors and Vendors that allow the user (“you”) these service/product providers in your local area. In order for a service provider to obtain the right to appear on AgentApprovedContractors.Com they must be recommended by a Real Estate Agent in their area. By accepting the terms of this agreement you are certifying and warranting that you have read this agreement and that you will adhere to the terms. AgentApprovedContractors.Com reserves the right to modify this agreement at any time at its sole discretion. We strongly advise that you read this agreement in its entirety. BY CLICKING THAT YOU HAVE ACCEPTED THE TERMS OF THIS AGREEMENT, YOU ARE ACKNOWLEDGING THAT YOU HAVE READ THE AGREEMENT, UNDERSTAND IT AND AGREE TO BE BOUND BY ALL OF THE TERMS AND CONDITIONS CONTAINED IN THIS AGREEMENT JUST AS IF You HAD PERSONALLY SIGNED IT. AgentApprovedContractors.Com supplies a list of local service providers, vendors and assorted products. All of those service providers and vendors can only appear on the website if they have been endorsed by a local Real Estate Agent or Broker. The name of the sponsoring agent or broker and his or her company name shall appear below the name and information of the contractor or service provider. Users of this service are to communicate directly with the contractors/service providers and arrange services as needed. All payments due the contractor/service provider are to be paid directly to the contractor/service provider as agreed when the contractor/service provider is hired. If there is a dispute with a contractor/service provider, you understand that AgentApprovedContractors.Com, its officers, owners, employees or referring real estate agents and/or brokers, and agree that all shall held HARMLESS from any claims by you. You further agree to assume all liability for the agreement between yourself and the contractors/service providers and the work or service they perform. The contractors, service providers and venders pay a fee to have their information on the website. There are no fees or any monies paid to AgentApprovedContractors.Com other than the annual fee to be listed on AgentApprovedContractors.Com. Agents are paid a fee to enroll their preferred contractors/service providers. A-All reviews submitted are accurate, truthful and complete in all respects. B-All reviews shall be based on your first hand experience with a contractor or service provider. C-You are in no way related to the contractor/service provider by blood, marriage or adoption. You further do not work for or have any interest in the said contractor/service provider. You do not serve on the board of directors of the contractor/service provider nor does your spouse or blood relatives. You also certify that you do not work for or have any interest in a direct competitor of the listed contractor/service provider. D-Your identity and review information may be provided to the contractor/service provider. E-You acknowledge the AgentApprovedContractors.Com does not guarantee the accuracy, or integrity of the website and has not done background checks on any of the contractors/service providers listed on the site. AgentApprovedContractors.Com is simply an information service which lists contractors/service providers that have been recommended to be listed on the website. You further agree to do your due diligence to verify the required assurance you desire to enter into a contract for work or service with any of the contractors/service providers listed on the website. AgentApprovedContractors.Com does not endorse and is not responsible or liable for any content, Service Provider content, data, advertising, goods, services available or unavailable from the contractors/service providers. AgentApprovedContractors.COM does not further guarantee nor warrant any work done by the contractors/service providers and that you will take responsibility for investigating the providers and accept any risk associated with the services or goods provided. You further agree that AgentApprovedContractors.Com will not be liable for any direct, indirect, incidental, special, punitive, compensatory, consequential or exemplary damages resulting from the use of any of the contractors/ service providers displayed or found through AgentApprovedContractors .Corn. F-You further acknowledge that you are of legal age (18) and will accept and abide by the terms of agreement. You agree that you will not repeatedly post the same review nor will you post unusually large reviews. AgentApprovedContractors.COM retains the sole right to remove reviews that it deems unsatisfactory in its sole discretion. AgentApprovedContractors.Com retains the right to change the terms of agreement at any time at its sole discretion without notice. If such changes are made, your continued or future use of the website shall be your acknowledgement that the terms have been changed and that you agree with the changes and will honor them.